Still not sure how to advertise on Google & YouTube? Here’s a couple Phoenix Search Engine Marketing campaigns highlighting how SEM & SEO work together. Search engine marketing (SEM) is NOT the same thing as search engine optimization, (SEO). While the two work well together, SEM is paid traffic whereas SEO is organic traffic (free). Search engine marketing is a campaign strategy optimized through both the number one and number two search engines, Google and YouTube. Since the merger of these two search engine powerhouses in 2009, search engine marketing campaigns are more than just text and pay per click (PPC) ads. In addition, thanks to YouTube’s relationship with Google, video is useful for both SEM and SEO. Video content works much like text and visual advertisements in all of Google’s search partner websites. The most popular form of a search engine marketing campaign is a text ad. Text ads are optimized for conversions based on specific search keywords. Above all, the point is for the viewer of the ad to take action and make contact with the business. Welcome to the online auction, where the highest bidder gets the top page results. This strategy allows brands to bid on particular search terms and keywords that are related to their industry. The key to this campaign strategy is understanding search trends, especially supply and demand. Sometimes competitors drive up costs for first page results. As a result, you may end up on the second page of results if your budget is smaller than the competition’s. First page results have higher click-through-rates and visibility. PPC ads essentially buy visits to your site, rather than attempting to “earn” those visits organically. While a greater number of people are seeing these ads, most customers know it’s paid advertising content. As a result, some people avoid clicking them. 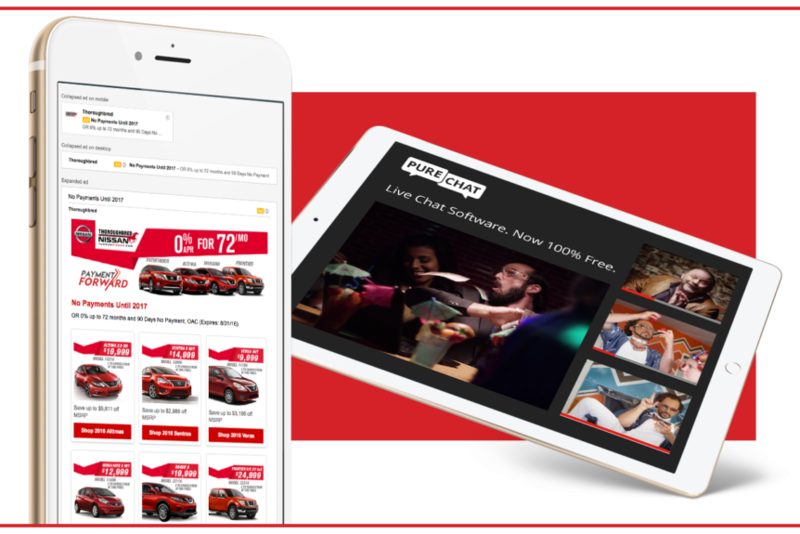 Ads created for call-only campaigns only appear on mobile devices that can make direct phone calls. You may not see these ads yourself because they are only shown to those people who are most likely to call. 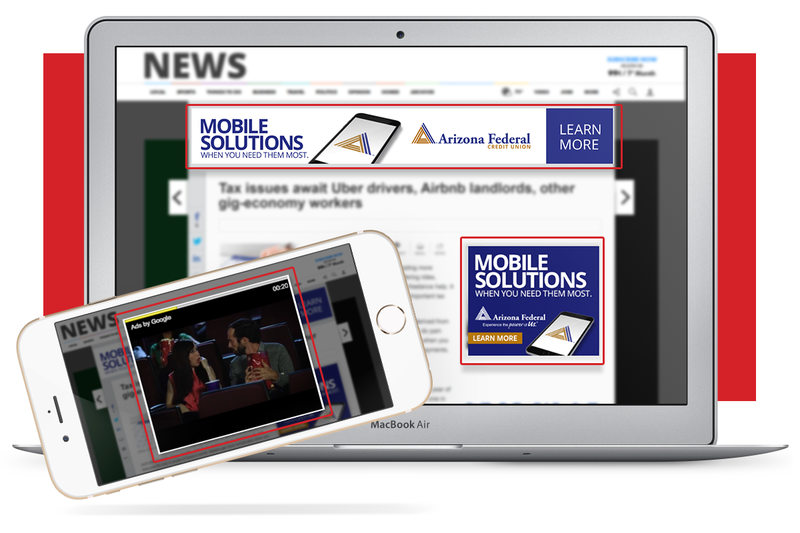 These ads are designed to reach targeted audiences with responsive messaging while they’re browsing various websites or apps (news sites, yelp.com, etc.). These ads work just like a display ad but use text instead of an image, video, or an animated banner. If you’ve ever browsed the web, you’ve seen display ads. Display ads consist of either video or banners and are placed at the top of your screen, on the left or right side of the screen, and sometimes, directly in the middle of the text you’re reading. Visual advertising campaigns are essential to search engine marketing. The display network spans over two million websites, and therefore reaches over 90% of people online. It can help you reach people while they’re browsing their favorite websites or using mobile sites and apps. Display advertising also serves as a solid geo-targeting campaign. This allows you to generate local awareness, and target specific regions, cities, zip codes or addresses. In addition, there are other targeting tools that you should consider. Because Google is YouTube’s parent company, targeting your visual campaign based on searches/keywords is extremely effective. 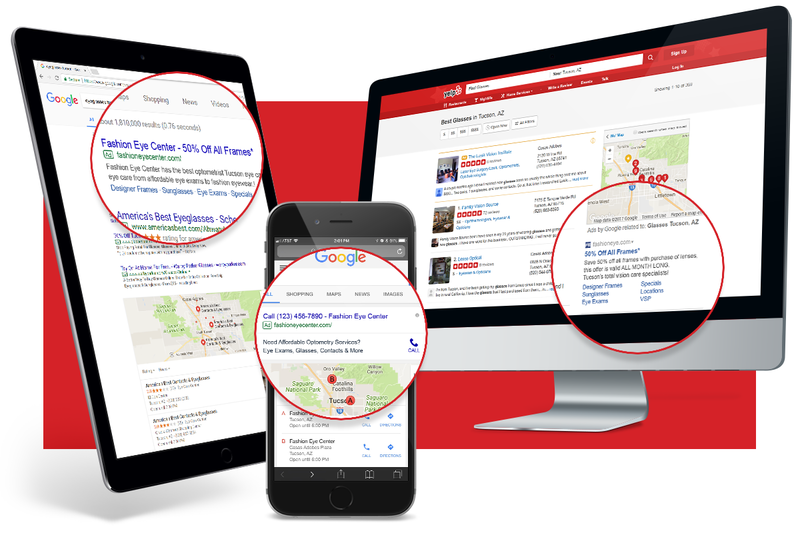 Much like Text + Display advertising, optimizing display ads for search reaches those who are currently interested in your business. This strategy targets those within specific demographics and “max-market” audiences who are ready to pull the trigger within the next 90 days based on their online behaviors. These massive audience counts are called “affinity audiences”. Interests can also target those in the beginning phases of their research. These beginners are referred to as “in-market audiences”, meaning they are ready to take action within next 180 days. You bid as to where you would like your ad placed. There are over two-million Google and YouTube partners, so there are plenty of places to choose from for placements. Examples include websites, apps and channels. YouTube advertising usually costs $0.10- $0.25 per view. If optimized towards the right audience, you can see an instant increase in organic traffic. Other video interactions include clicks on the call-to-action overlays (CTAs), cards, and companion banners. When you compare the advertising costs of other mediums, video views on both YouTube and social media are the most budget-friendly. In 2017, YouTube ad views continued to lead the industry. Recommended for shorter videos, 15-30 seconds. 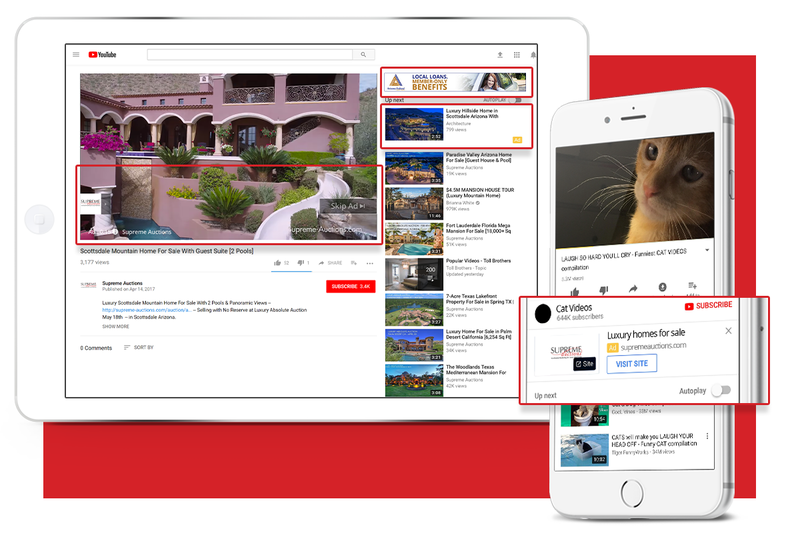 Use this format when you have video content you’d like to promote before other videos on YouTube and across the Google Display Network. Your video ad plays before, during, or after other videos. After 5 seconds, the viewer has the option to skip the ad. Recommended for longer videos, 1+ minute. Use this format to promote a video in places of discovery, including next to related YouTube videos, or as part of a YouTube search result. This platform allows for longer product demos, customer testimonials, or a how-to video that shows your product in action. Recommended for retargeting: 6 seconds, non-skippable. Bumper ads are a short video designed to increase awareness about your brand. Bumper ads are 6 seconds or shorter and plays before, during, or after another video. You pay based on impressions. Best domain targeting strategy, stay in front of the competition. Gmail ads are interactive ads at the top of people’s inboxes. The expanded ad, which is the size of an email, can include images, video, or embedded forms. Gmail ads are a way to connect with people in a personal format. Stands out from the rest, extremely versatile and responsive. Lightbox ads are available in standard Interactive Advertising Bureau (IAB) sizes. When people interact with these ads, they see images or videos within the ad, or in an expanded canvas. Mobile users can tap on the ad to prompt the engaged state. Ask and you shall receive, do your own market research. From Fortune 500 companies to startups, Google Surveys makes it easy to reach your target audience and engage. Google Surveys is a market research platform that surveys internet and smartphone users. These allow up to ten questions. Although, the more questions, the higher the budget. How are your competitors driving traffic to sites? We can provide an overview of how your competitors generate traffic to their site. How much are your competitors spending? Know what keywords they are bidding on and how much are they spending. What are potential leads searching and when? Understanding the search trends and creating a comprehensible online strategy based on your customer’s behavior. Search, display, brand awareness and engagement are the top online campaign strategies. There are many more layouts to choose from. Most importantly, online advertising is not one size fits all. Let Epic’s digital team optimize for the right size. Contact us today and we’ll help you get the perfect fit! ©2019 Epic Productions, LLC. All Rights Reserved.